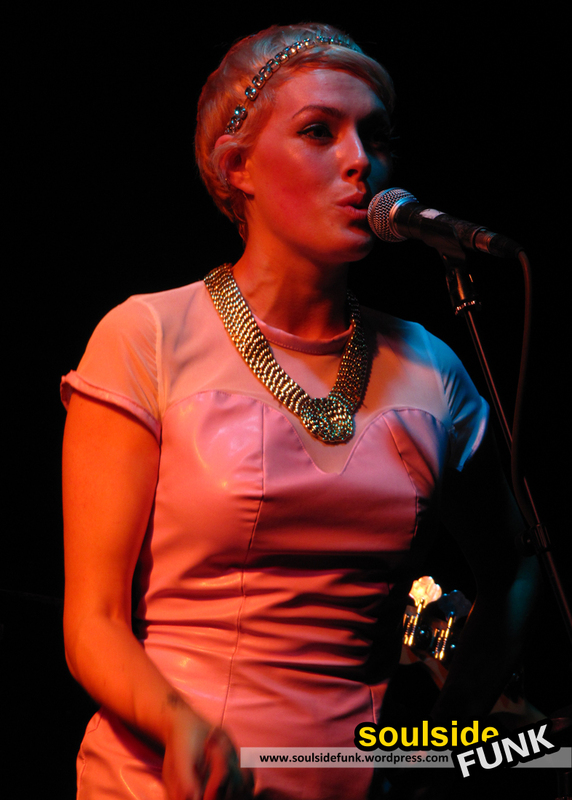 The Pipettes have seen a lot of changes over the years and this pairing of Gwenno and Ani is the 5th vocal line-up they have had (yes, that’s more than the Sugababes!). And with this changed and trimmed line-up comes a changed yet more fleshed out Pipettes. Gone are the polka dots, gone are the 50’s vintage cocktail dresses, gone is the bubblegum pop music… but thankfully the dance-routines and general over-flowing happiness has remained. 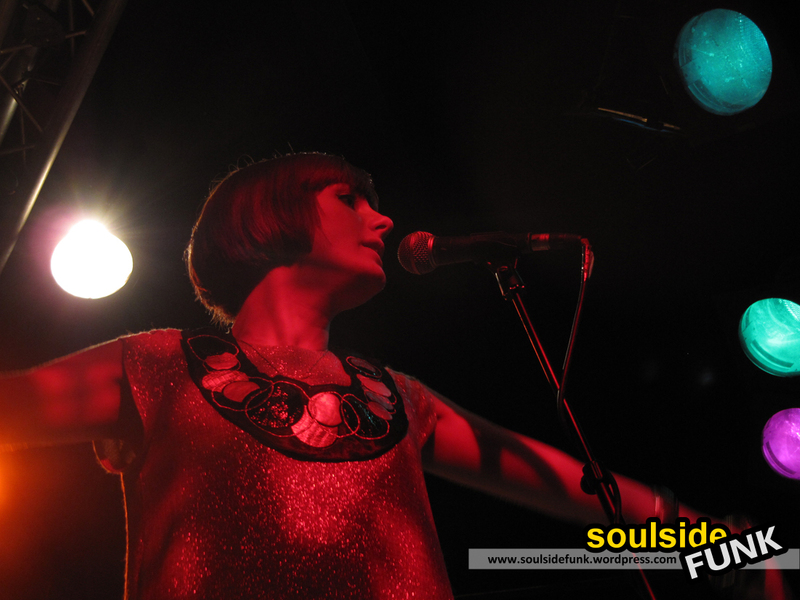 The new sound of The Pipettes is a lot less girlie pop, a lot more free-flowing disco and a lot less obvisouly retro. It has filled out, grown-up and is a bit more satisfying. Luckily though, as echoed by every deeply rolled “r-r-r-r-reee-asurance” pushed out by Ani on Finding A Way, they have not lost that cutesy charm. Despite a bit of a slow start, the set soon gained pace and the girls settled in their stride to make a show that was lively, with a lot of new songs intertwined with a few classics for good measure. And then there was the dancing… newish song Shake! Twist! Stomp! is every bit as playful and infectious as Lucky Soul’s shakin’ and shimmyin’ (and called for a good dose of crown participation). Actually, I have an idea, on the forthcoming album they should include like an instructional manual outlining all of carefully crafted dance routines… or better yet the girls should release an exercise DVD because every record seems to have its own routine with more hand movements and step turns than you can imagine… seriously, I was waiting for them to bruk out in to a Bogel or Butterfly, but alas the moment never came. Song of the night was Can Somebody Tell Me What I’m Meant To Do, a mid-tempo, melancholy disco number which seems a lot more heartfelt than the spontaneous records we are accustomed to from them. Turning the Human League’s Darkness in to a sugar-coated pop song was a treat too. After the main set the girls returned for an encore of Judy and Pull Shapes. While being great songs, they sounded a little out-of-place versus the newer records that had come before. 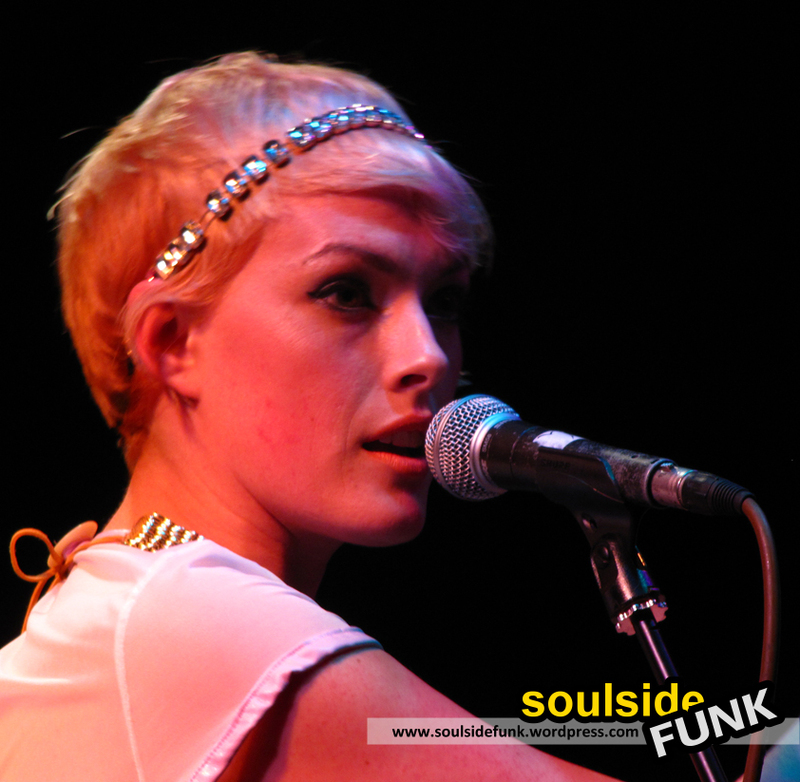 The Pipettes have moved on and grown up and in doing so have added a whole new dimension to their live show. It’s almost like a new group, taking the best bits and moving from the obviously retro and in to the future while still having a whole lotta silly fun on the way!. 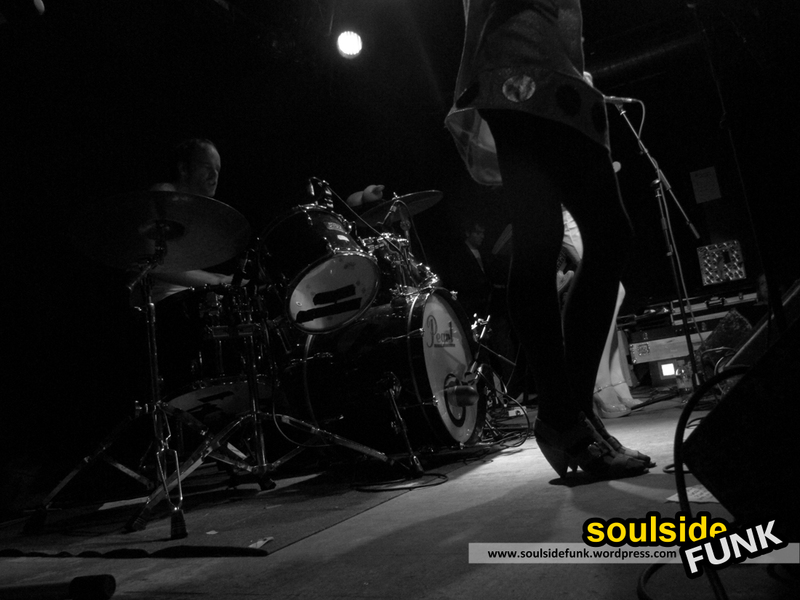 Posted in Gig Alerts, Gig PhotosTagged Concert, Disco, Gig, Hoxton Bar and Kitchen, London, Memphis Industries, Music, Photos, Pictures, Pop, Review, Shoreditch, The PipettesBookmark the permalink. 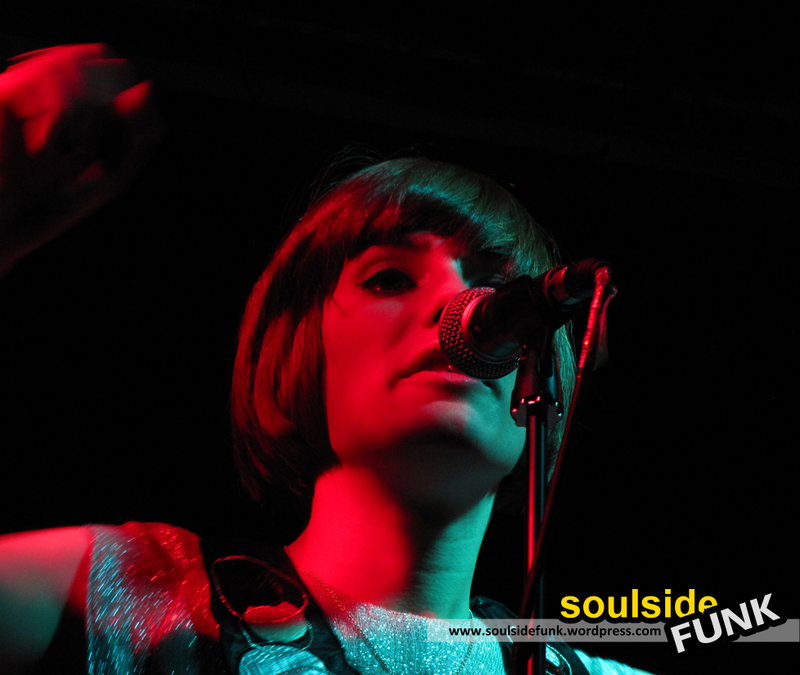 Apologies for the somewhat spammy comment but I’m running a comp over at my blog (fadedglamour.co.uk) to win tickets to see The Pipettes in action at The JD Set, where they’ll be covering tracks from The Human League’s ‘Dare’ album.